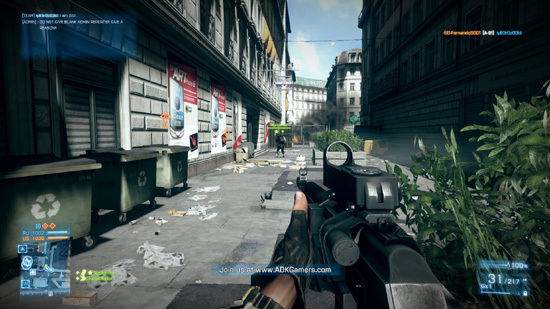 First at all, I’m a big fan of Battlefield Series, of course I play Battlefield 3. I think if you want to play this game well, the Minimap is very important. The spotted enemy soldier’s position is appeared as a red icon in the Minimap, so you can find the enemy soldier quickly. 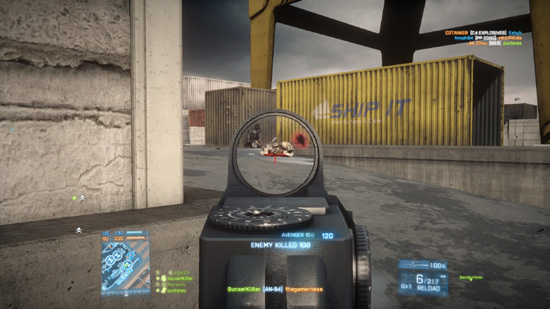 There are three most important elements in player’s HUD (Head-Up Display): Minimap, Ammo, Life. 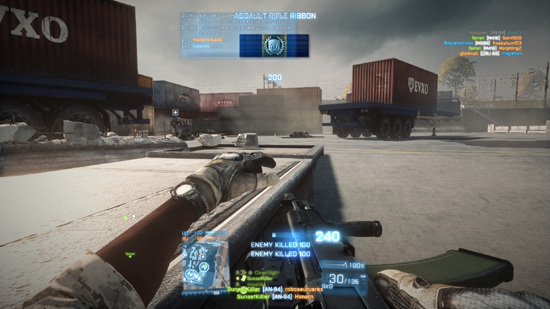 Minimap is at the left-bottom corner of the screen, ammo and life are at the right-bottom corner of the screen in the default settings. So, if you use a large monitor (like mine, it’s 22 inch), it is become difficult to read the minimap, ammo and life at the same time when you focus on the enemy. My resolution is 1920*1080, all HUD elements become unreadable, I want to make them more near the center of the screen for better gaming experience. 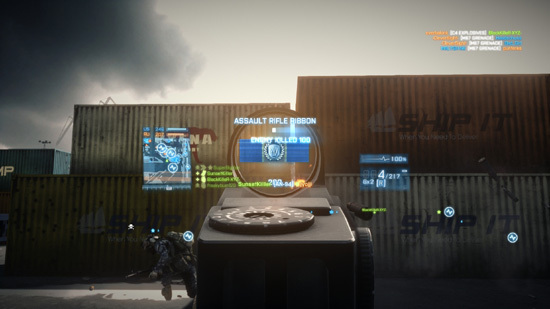 In this artile, I will show you how to move the minimap and hud in Battlefield 3, it is just a little tweak. The values may be different to yours. Decreasing the values from the default moves the HUD elements inwards. You may change the values slightly to see what placement looks better. Let’s look some examples below. In this example, decrease “GstRender.ScreenSafeAreaWidth” value from 0.95000 to 0.350000, the HUD elements are become too close to each other. This one looks better than previous one. If you would like to make some Battfield 3 montages or Battfield 3 movies, you may want to remove or hide all the HUD elements. It’s easy to do this, just set the both values to 2.00000 and then the HUD will be hidden from screen. I’ve tried this, and works. I have a three monitor setup and when I move GstRender.ScreenSafeAreaWidth to a little larger number, it moves off the center monitor, but does NOT show up on the left monitor. Same goes with the ammo count/ health on the right. Is there any way to make them appear on the outer most monitors?